For many years throughout the world “Graphic design” was also known as POP art but usually was for designing advertising and posters whereas POP art was purely a painting using various mediums to reflect a piece of art ! 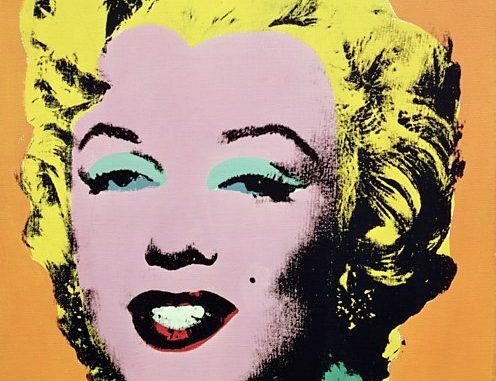 Pop art, based on images taken from popular culture – after which it is named – and the consumer society, is a unique and heterodox international figurative trend that emerged in the mid-1950s. In Spain, whose art scene was dominated by the abstraction of informal art, the pop movement made its appearance in the early 1960s, imbued with sharp criticism of the social, political and cultural environment of the final decades of the Franco regime. Borrowing and reinterpreting images from the press, advertisements, comic strips, films, television and art history, working in series, and the use of spot inks and a reduced palette of loud colours were its main formal characteristics, though Spanish artists tinged this reused popular iconography with social and political overtones. However, it was not a collective movement; rather, a small number of Spanish artists espoused the American and European pop language of Rosenquist, Lichtenstein, Erró, Adami, Hockney, Rotella and others during specific periods of their output, with a variety of interests and approaches. To illustrate this scene, the selection of paintings shown there has been limited to the four abovementioned artists and teams – who are very different from each other despite their shared basis – and to the period from the late 1960s to the early 1970s when these ‘reflections of pop’ reached a peak. Reflections of Pop surveys the reception of the international pop movement in Spain during the 1960s and 1970s through four of the individual artists and teams whose work illustrates the influence of this trend most clearly and continuously: Luis Gordillo, Eduardo Arroyo, Equipo Crónica and Equipo Realidad. In 1954 the record label Columbia made the first microgroove vinyl records in Spain. Within a few years, four-track EP (Extended Play) albums had revolutionised the modern music market and the conception of graphic design for record covers. Following the trail blazed in the English-speaking countries by prominent artists of the stature of Andy Warhol, Roy Lichtenstein, Peter Blake and Richard Hamilton, a few Spanish artists who had embraced pop, among them Equipo Crónica, Juan Genovés, Alberto Corazón and Antoni Miralda, produced outstanding examples of music-related graphic design. With the perspective of hindsight, it may be said that pop art first became known in Spanish homes through record covers and graphic designs for magazines and posters rather than through exhibitions. It should not be forgotten that opposition to the Franco regime often slipped through the net more easily in expressions of popular culture than in the form of visual arts or political action, as can be seen in some of the designs by Equipo Crónica, Juan Genovés and Alberto Corazón which managed to get past censors. Mention should also be made of the work of illustrators and designers, who deserve to be considered pioneers of pop art in Spain, among them José Bort, Jordi Fornas, Daniel Gil, Iván Zulueta, América Sánchez, Enric Satué and Enric Sió, and photographers such as Alberto Schommer, Oriol Maspons and Francisco Ontañón, as they imbued Spanish graphic design for the music industry with an identity of its own which in some cases has earned more admiration abroad than at home. Entry with Permanent Collection, Temporary Exhibition, or combined ticket. 2 Comments on What is POP Art? Hello everyone! I would be honored to be an awesome Anatomie contributor for TFG during my travels this summer because it is my absolute strongest passion to travel and believe that what you wear and how you style yourself is a key part in the experience and memories. I have a travel blog all about my personal style from my travels after many new Instagram followers began asking me where I buy my clothes and and for travel tips. Nothing is more rewarding than inspiring my readers to think outside the box with style on their vacation, and to more importantly — get out and see our beautiful world! I have over 1200 followers on Instagram and this grows everyday! I will be featuring the pant on my social media accounts as well in coordination with your team. You can certainly see your enthusiasm in the paintings you write. The world hopes for more passionate writers such as you who are not afraid to mention how they believe. At all times follow your heart. “He never is alone that is accompanied with noble thoughts.” by Fletcher.